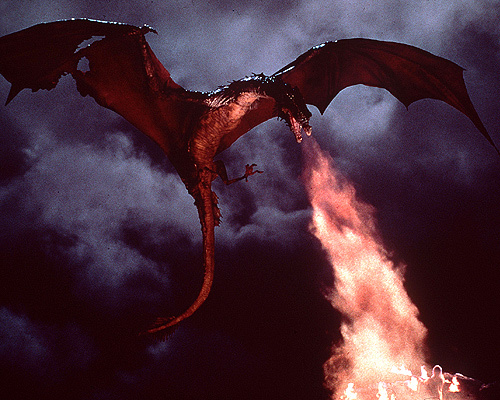 I have long maintained that Vermithrax Perjorative was the coolest dragon ever put on film... but Peter Jackson's version of Smaug, from the second HOBBIT film, may have stolen his laurels. Vermithrax Pejorative has always been my personal favorite as well. When our little GoT dragons grow up then it will be a fair comparison. The best thing about Smaug...his voice...Benedict Cumberbatch (I call him Bandersnatch Cumberbund to drive my daughter crazy) has got that sibilant, evil sneer of a voice down so good! Any news on dunk and egg? A Dunk & Egg collection is in the works. More on that later. Also, while still a cartoon, the dragon from Sleeping Beauty is pretty decent. There was a time, we had a rat problem. I bought three rat traps and I would carve a notch in each when a rat was caught, and killed. There was a family of crows that came to feast on the dead rats that I put out for them. This is all true. I named the rat traps Vhagar, Meraxes, and Belarion. That was hands down my favorite moment of the entire video. I'd agree... except DRACO. Draco Draco Draco. Nicest dragon ever. If the Cocteau ever does a dragon event, I sure hope Dragonheart will be on the list, because intelligent, friendly dragons need more recognition. Doesn't hurt when they're voiced by Sean Connery, either. 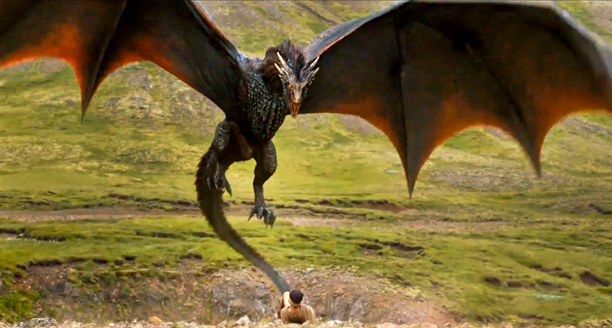 Drogon looks incredible here! I can't wait to see how large the dragons have grown when scenes from ADWD air. Thanks for remembering my request for a post! 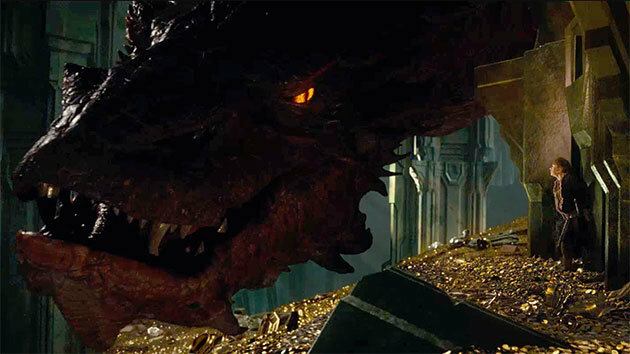 I'm glad you enjoyed the film...or Smaug, at the very least. I liked how it sound like Benedict if you knew it was him beforehand (plus using technology to dragon-ize his voice), as well as the visuals of him 'about to breathe fire.' My dragons won't talk, but structurally they will be similar to the dragon that is Smaug, as well as various species in Skyrim - wyverns, I believe. 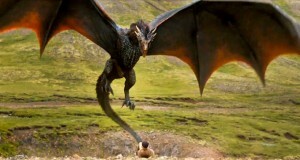 Either way, I'm looking to The Hobbit (Part 3) as well seeing more of the dragons in the HBO series. PS - my girlfriend just recently finished reading 'A Game of Thrones' and she enjoyed it greatly. Smaug's voice wasn't edited with technology. If you watch the interview with Benedict Cumberbatch, Richard Armitage, Luke Evans and Evangeline Lilly you'll see that Benedict did the Smaug voice without any help. I know this isn't a Q&A format, but I have a very simple Q, from a professor of medieval literature; have you read Chaucer? B/c some of you passages and some of your character are very Chaucerian. I read some of CANTERBURY TALES many decades ago, in college. Can't say I've read any since. Does Viserion look cool too?! Drogon is awesome, but i must admit i find Viserion cooler. Just because he has a snappier aura about him, he's got attitude like Viserys did. Hopefully we get to see a bit of him this season!? Re: Does Viserion look cool too?! Can't answer for the show... but you'll certainly see Viserion in THE WINDS OF WINTER. smaugs size and strength combined with the incredible grace, elegance and precision was an aweinspiring way to convey the terrible power of dragons. very impressed by the few shots from the new season too. Looking very promising!